Something’s rotten in the waters around Ludlow. It’s turning townsfolk into the Brethren—pale and lifeless apparitions, monstrous reflections of themselves. The Brethren crave only the Light in the Dark, under the command of the horrifying Angel in the Depths. Guided by the shadowy cult leader, Mal Lazarus, who is intent on taking over the town, the Brethren stalk the streets of Ludlow, taking victims to the Mercy River, to a fate far worse than death. Standing in the way of the Brethren are only a handful of people—a photographer, an art teacher, a student, a priest, and a federal agent—all trying to stop the Brethren from taking over Ludlow. But is it too late for the town, and too late for the last Breathers of Ludlow to prevent Lazarus from realizing his dire dream in the service of the Light in the Dark? D. T. Neal is a fiction writer and editor living in Chicago. He won second place in the 2008 Aeon Award for his short story, “Aegis,” and has been published in Albedo One, Ireland’s premier magazine of science fiction, horror, and fantasy. He is the author of Saamaanthaa and The Happening, both part of the Wolfshadow Trilogy. He’s also written the vampire novel, Suckage, as well as the Lovecraftian cosmic horror-thriller, Chosen. He has written two creature feature/eco-horror novellas, Relict, and Summerville. He continues to work on new horror and thriller stories. Chosen is not the first work by D.T. Neal that I’ve had the fortune to read, but it is the first full-length novel. Like many of his previous short stories, Chosen inhabits that place between the worlds of speculative fantasy and modern realism that provides the author with limitless opportunities to create wonderful, imaginative, and relevant allegories and the reader with an addicting page-turner. At the most basic level, Chosen is a zombie book. It contains all of the familiar story elements of the genre—the random event that creates the first monster, the unwitting initial victims, the gradual realization by the heroes of what is happening, and the climactic Final Battle. On this level of storytelling, Mr. Neal provides terrific pacing and some beautifully rendered scenes. My two favorites both take place on the local riverboat casino. In the first, some fantastically gruesome things happen to the patrons outside in the river under blinking neon lights. The writing here is so visual you can see in your mind’s eye exactly the vision the author sees as the lights go on. And off. And on. And off. In the second, Mr. Neal recreates one of my favorite scenes, the classic “gambling with the devil”, ironically set in an actual casino this time. Everything about it is both completely unsettling and completely enjoyable (for the reader, at least). 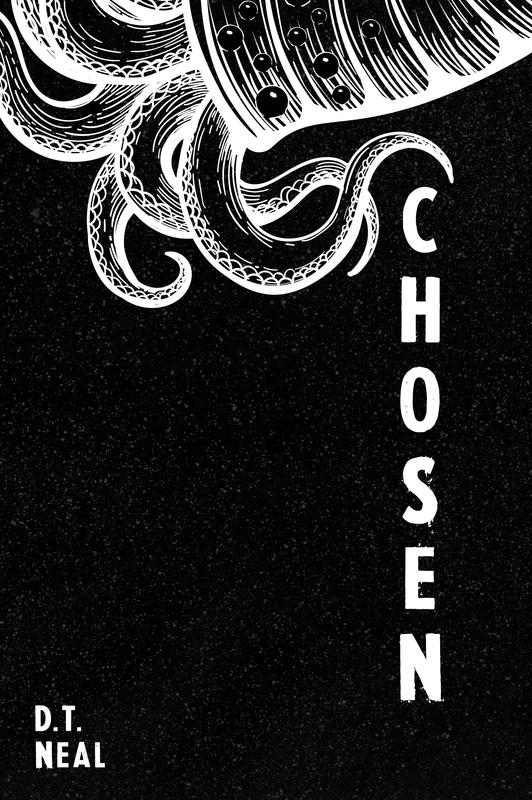 Chosen is not only a terrifically fun read, but also a commentary on the control of the powerless many by the powerful few, the fragility of individuality and freedom in a world of invasive intrusion, and the roles that iconoclasts and misfits have in keeping it real. These themes are far more relevant to me (and others I presume) living in 21st century America than I ever thought they would or could be and this novel explores them in an honest and engaging way. If you are looking for something new and interesting to read this summer on (or off) the beach, I cannot recommend Chosen highly enough.